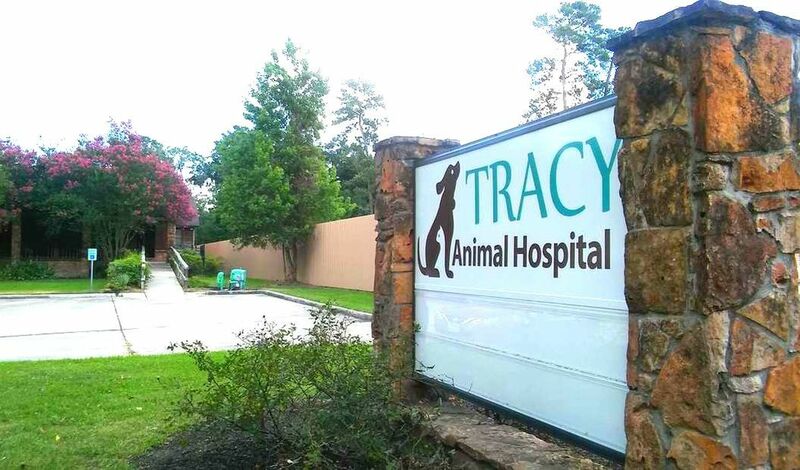 For over 30 years, Dr. Russell Tracy and the veterinary tech team at our animal hospital has been providing compassionate, affordable care and excellent veterinary medicine to the communities of Cypress, Texas and the surrounding areas. We are a family run, full-service veterinary clinic that offers comprehensive medical, dental and surgery care for dogs and cats. We treat your pets like the valued family members that they are. You can rest assured that your dogs and cats are in the best hands - we take pride and enjoy practicing veterinary medicine every day. Explore our site to learn more about us and the veterinary services we offer, read our client testimonials or conveniently make an online appointment. We would like to thank each of our clients for the trust and continued support shown over the years. It has been a pleasure providing superior veterinary care for your loved ones for the past three decades, and we look forward to the next 30 years! Whether you just moved to the area or are looking for a new veterinarian for your dog or cat, we are glad you found us! New clients will receive a complimentary initial exam for their pet. Make your dog or cat's appointment conveniently online by clicking on the button below or give us a call at (281) 970-0601. From sick visits, to dental cleanings, you can conveniently make your pet's examination with us. We offer monthly specials and promotions to make it easier for your dog or cat to receive the best pet care possible. Our veterinarians, vet techs, kennel techs, and front desk staff all take great pride in providing excellent service & superior pet care. Tracy Animal Hospital is a full service veterinary clinic specializing in soft tissue and orthopedic surgery. ​We offer excellent small animal medicine and our pet services include routine healthcare, internal medicine, pet soft tissue & orthopedic surgery, dentistry, dog and cat boarding, senior pet care, puppy & kitten care, pet vaccinations, parasite prevention, pet allergy & skin care, and cremation services. ​We strive to provide superior service every day and only recommend what is best for our patients.